Bleeding edge development of a game client that plays MMORPG style games on an Android phone or in a browser. 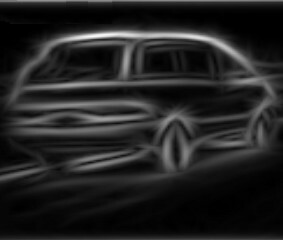 Client developed in Android and Java 3D so can run on Android phone or in a browser. The client can also be run as a desktop application. For the latest news for Skinhat Software check out the Twitter feed. Thanks Google for deleting my Android account. Three years of work down the toilet. Check out this article on the Otago Daily Times about it. 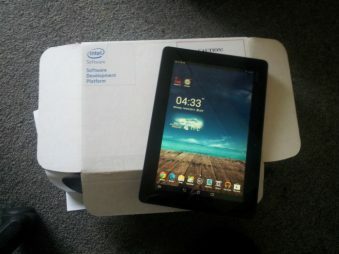 Intel have sent me a development device to specifically develop Android apps for x86 Android devices. Is a very nice machine. 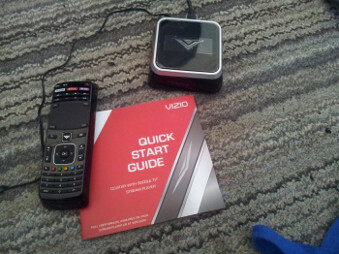 Google have finally sent me a Google TV to work on. 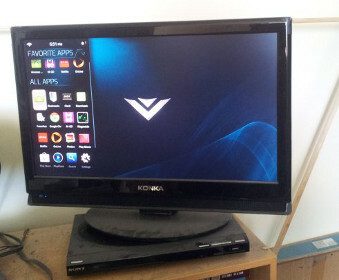 Google liked my android app Megaroids and sent me a Google TV device to develop on so it'd not only work on Android phones but also Google TV. 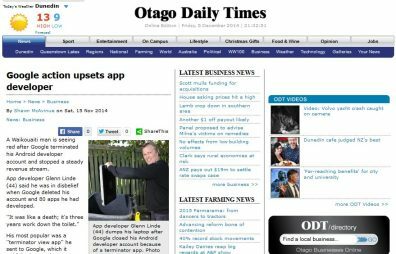 Dunedin App in the Otago Daily Times. Check out the article about my Dunedin Android app at the Otago Daily Times. 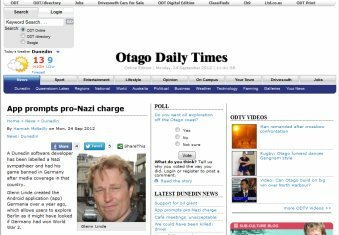 The Otago Daily Times has done a newspaper article about how my app was banned in Germany after a German Radio Station made my app seem like it was nazi propaganda.